Surendar Chawdhary was preparing for the shoot of his Diploma film VILAAP and he used to discuss the script with his cinematographer R.S. Agarwal and associates Kasturi R Murthy and myself. 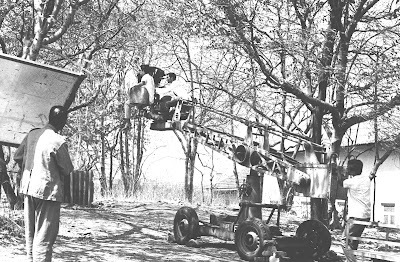 His film was about a tree being cut in a forest and humanises the event by showing various incidents that happened under the tree. For the opening shot he wanted a leaf falling from the tree on to the ground. The problem was that he wanted the single leaf in tight closeup and follow the falling leaf's movement using a crane. 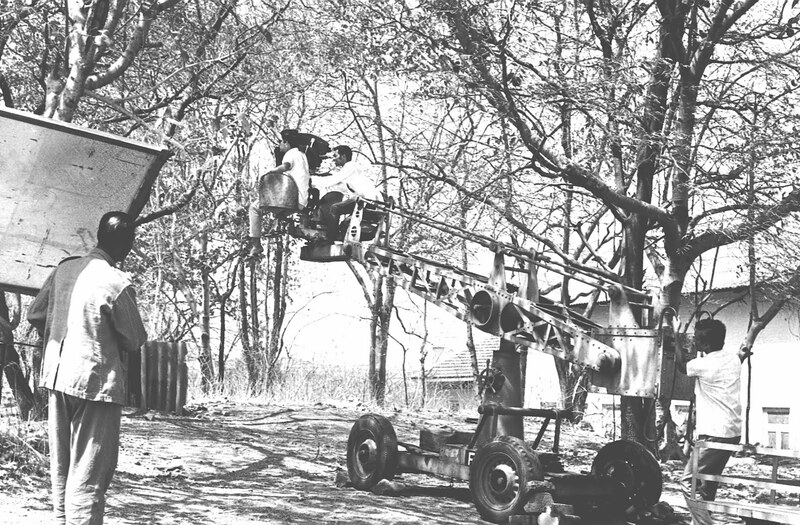 It was a pretty tough task indeed and required precise operation of the crane as well as the camera. Since he very much needed the dramatic shot for his film, we decided whether it was possible to such a camera operation by conducting a trial during our practical class. I did the trial using the Arri Blimp camera mounted on a crane and as Surendar dropped the leaf in front of the camera, the crane was moved according to the trajectory of the leaf's fall. When there was wind it just moved out of frame and we had to wait for the windless period. After several trials we were able to synchronize the fall of the leaf with the camera and crane movements so that the leaf was always in the frame till the very end. 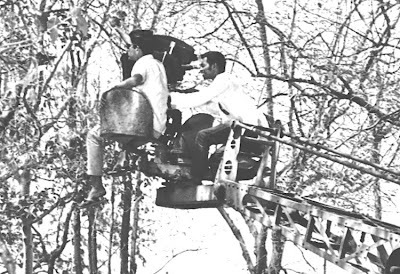 Thus Surendar was assured that the shot he wanted so badly for his Diploma film could indeed be taken . Later on the actual shot was taken by R.S. Agarwal himself during the Diploma film shooting and was incorporated in the film. Such attention to detail and meticulous planning by Surendar paid rich dividends later 0n. Eventually his film won the Grand Prix of Winged-Ibex statue in the short film category at the First Tehran International Film Festival 1972 and several other honours.